Be sure to leave a like and a comment for Fredrik Olovsson letting me include a snippet of this awesome remix! Fixed a bug where Fire blocks and Liquids had become solid! ============================================================ Lycanites Mobs Update: The Demonic Mastermind - Version 1.14.2.0 for Minecraft 1.9.4 Configs older than 1.14.1.1 will be reset. ============================================================ -------------------- New Features: -------------------- The Demon Boss Added: Asmodeus - The Demonic Mastermind! 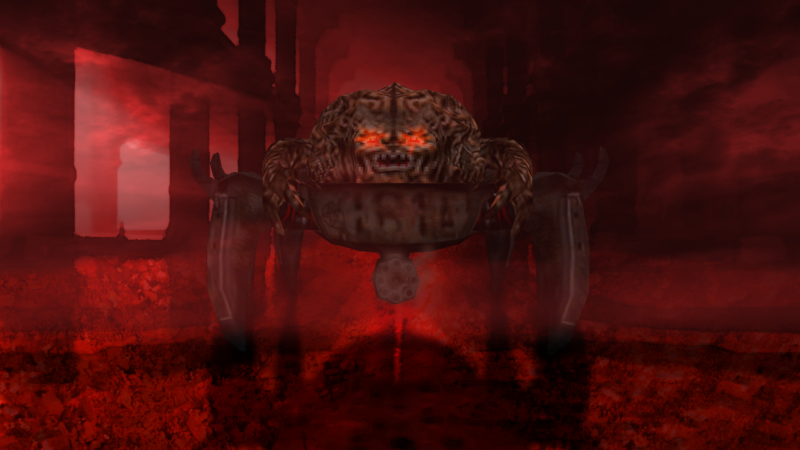 New Boss Event (<a href="https://www.youtube.com/watch?v=-7VBjTjUuTM">featuring a Doom E1M8 remix by Fredrik Olovsson</a>) and Altar added for Asmodeus, Gooderness will be doing a voiceover for these which I will added and release a new update for once it is ready. Rahovart has an improved model complete with a demonic cannon on it's left arm now! Striders have a brand new, long overdue model! I'm aiming to also improve the Wendigo, Trent and Zoataur in upcoming updates too! Added an Arena Node Navigation System! This allows for boss fights to be more interactive with the arena, currently Asmodeus uses this too jump around the arena in pursuit of its victims! I may improve the Rahovart fight with this later adding charge attacks to Rahovart. Rahovart and Asmodeus will play a unique sound when changing battle phase. Be sure to leave a like and a comment for Fredrik Olovsson letting me include a snippet of this awesome remix! <div class="videoWrapper"><iframe src="https://www.youtube.com/embed/-7VBjTjUuTM" frameborder="0" allowfullscreen></iframe></div> -------------------- Major Fixes: -------------------- Found and fixed a source of massive lag caused by large mobs pathfinding. The Node Processor performs checks on surrounding blocks such as, are they solid or dangerous in order to find an optimal path, but with large mobs the amount of blocks checked increased exponentially, I have trimmed the amount of blocks checked, this may make large mob pathing clumsy at times but it shouldn't be noticeable and is better than unplayable lag! Fixed a bug where targeting AI had a longer seeking range than chasing distance which caused mobs to stop in place an twitch! Fixed a bug where Fire blocks and Liquids had become solid! Fixed a bug where Rahovart was not saving some vital NBT Data! Fixed a rare bug where Rahovart would sometimes be sent back and forth to x 0, z 0 causing it to be unresponsive and not take hits, this bug was very noticeable with Asmodeus and hence it was found and fixed. -------------------- Changes: -------------------- Some demon sounds have been improved. -------------------- Balancing: -------------------- Rahovart's Hellfire Wave is smaller but more frequent. Rahovart's Hellfire Wall is now slower but because it rotates a full 360 degrees, it will last longer! Geists will no longer spawn from dead demons. Havled the attack rate of Trites and increased their hit box. -------------------- Minor Fixes: -------------------- Rahovart should now drop a large amount of Demonstone building blocks. Fixed a bug where mobs that pickup entities would instantly drop them. Fixed a delay between server and client for when projectiles are spawned/changed to non-default sizes. Minor improvement made to the Random Position Generator where it will avoid picking some positions that the pathfinder will later reject. I've reduced the amount of invalid sounds that are registered which should remove a load of warnings on start up, there are still some remaining and I am looks for a clean automated way to detect which sounds needs to be registered for each mob.